Where can I buy LPG? Can I take LPG on the Eurotunnel? Alugas are the only lightweight all alloy refillable LPG upright cylinders, that are fixed in place and are designed for the leisure market. 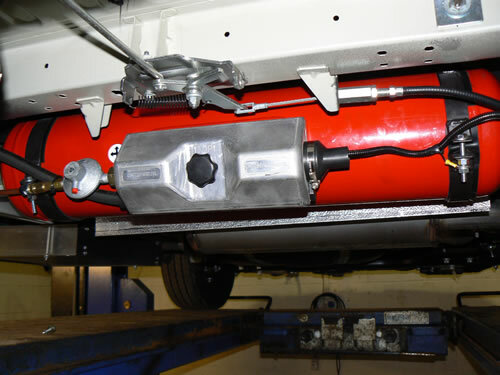 What are underslung gas tanks? Underslung or underfloor LPG gas tanks are available in a range of sizes from 8kg up to 46kg. The underslung tank or "Caratank" is a unique bulk underfloor LPG tank suited ideally to motorhome users and catering trailers alike. Click here to download our PDF Caratank Information Sheet. How do I refill my gas tank? Do you have any Customer Feedback from previous customers?